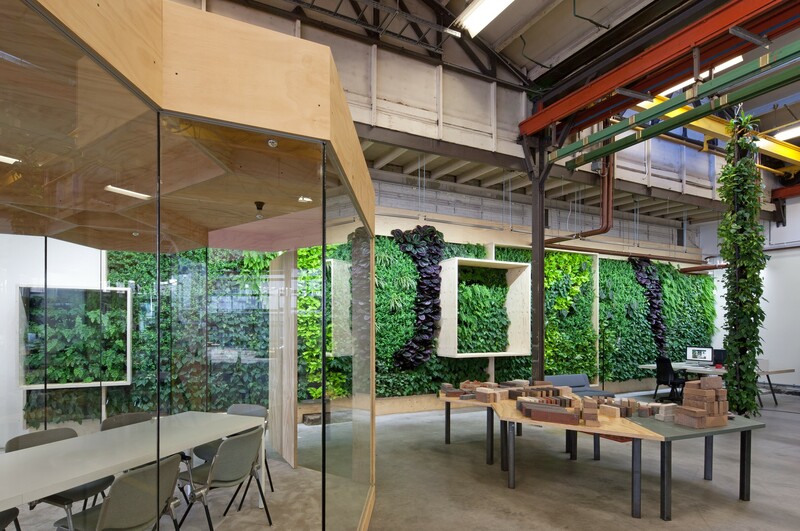 Description The Green Fortune Head Quarters of The Netherlands is situated in an old factory shed. 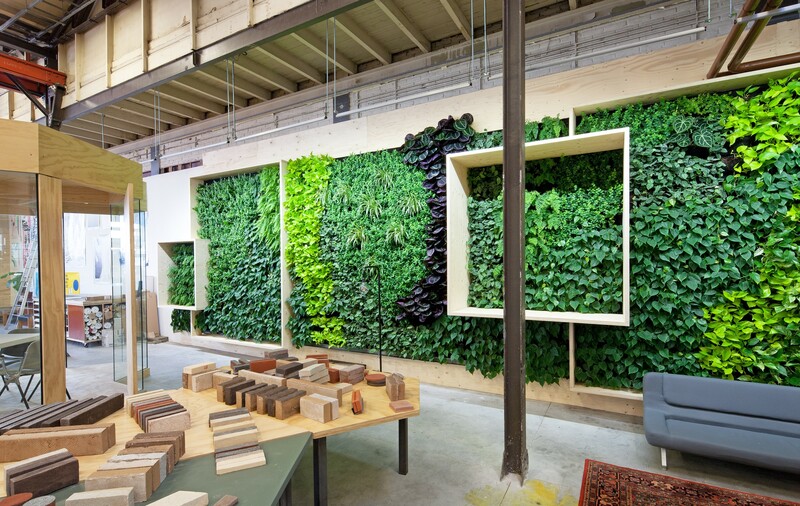 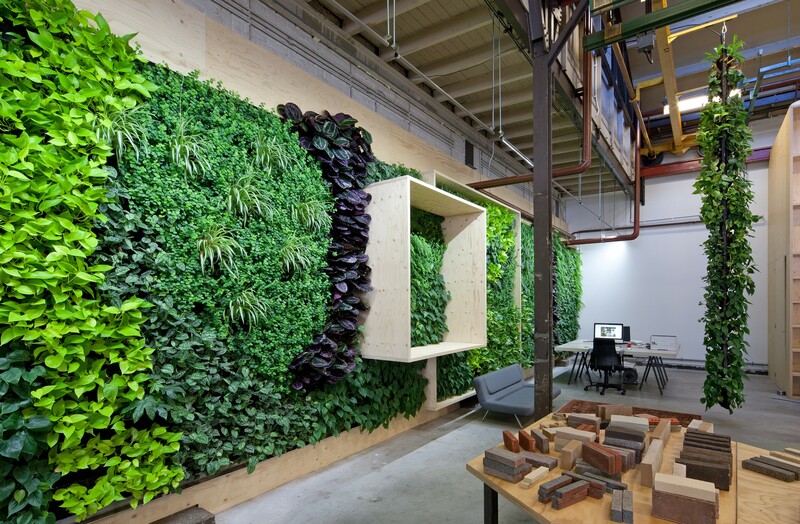 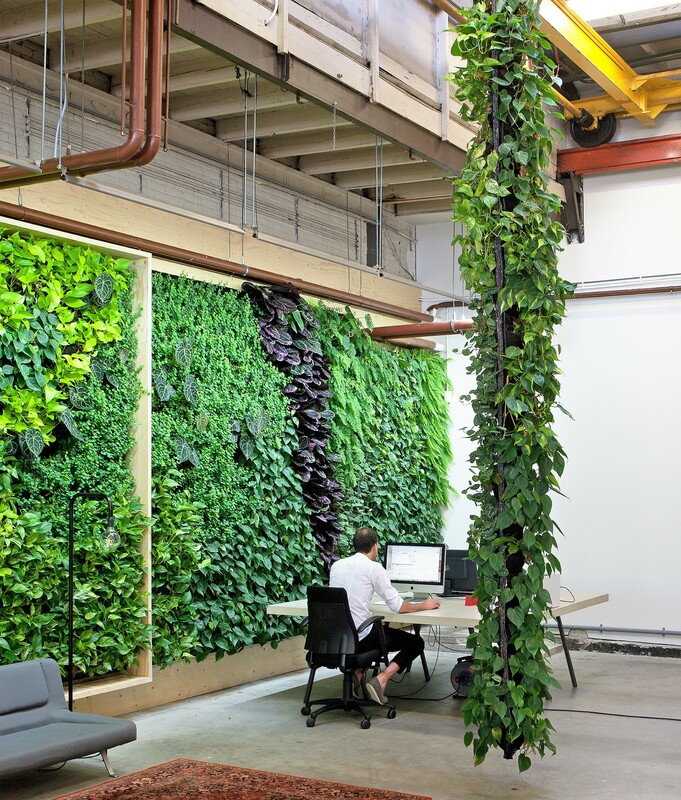 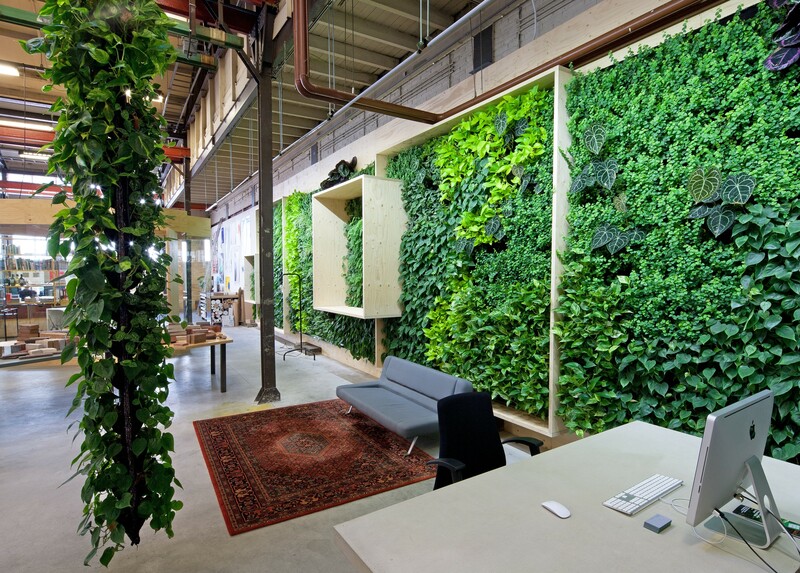 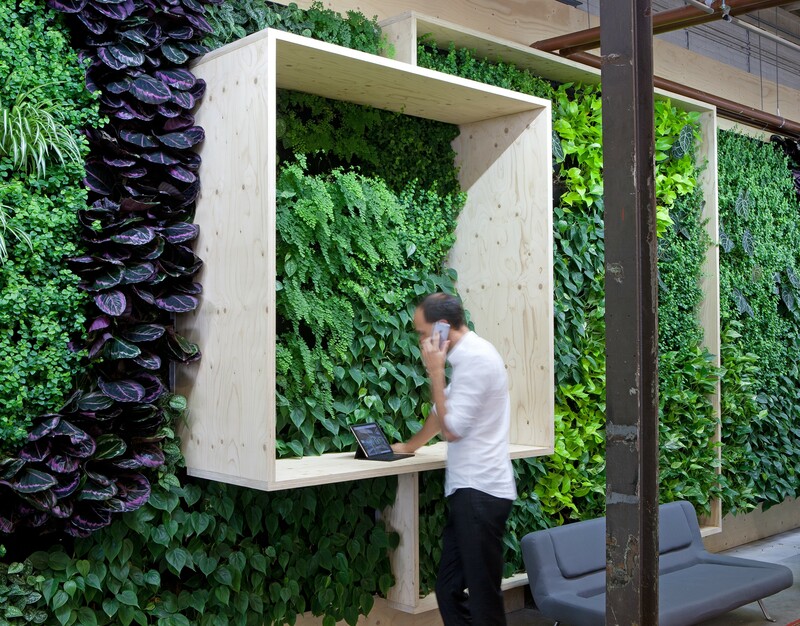 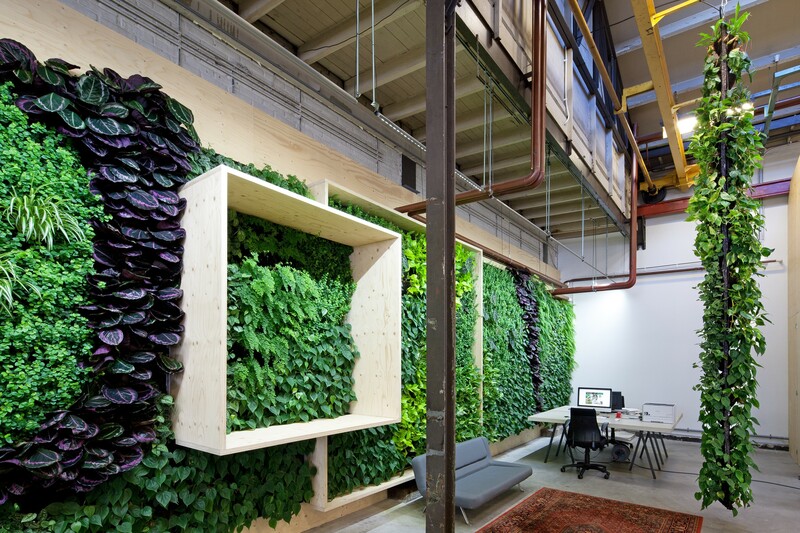 The back wall is covered with a large Plantwall and a 5m high Plantwire hangs next to the workstation. 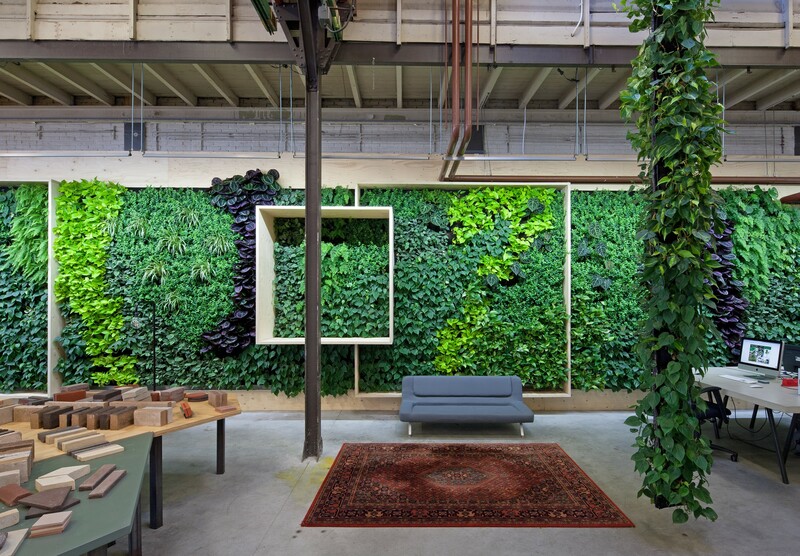 The plants are a nice contrast with the industial look of the building.